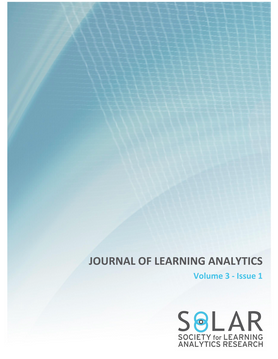 Along with other members of the LACE project (Tore Hoel, Maren Scheffel and Hendrik Drachsler), I co-edited a special section of Journal of Learning Analytics Vol 3, No 1, which focused on ethics and privacy in learning analytics. The European Learning Analytics Community Exchange (LACE) project is responsible for an ongoing series of workshops on ethics and privacy in learning analytics (EP4LA), which have been responsible for driving and transforming activity in these areas. Some of this activity has been brought together with other work in the papers that make up this special issue. These papers cover the creation and development of ethical frameworks, as well as tools and approaches that can be used to address issues of ethics and privacy. This editorial suggests that it is worth taking time to consider the often intertangled issues of ethics, data protection and privacy separately. The challenges mentioned within the special issue are summarised in a table of 22 challenges that are used to identify the values that underpin work in this area. Nine ethical goals are suggested as the editors’ interpretation of the unstated values that lie behind the challenges raised in this paper. Ferguson, Rebecca, Hoel, Tore, Scheffel, Maren, & Drachsler, Hendrik. (2016). Guest editorial: ethics and privacy in learning analytics. Journal of Learning Analytics, 3(1) 5-15. This entry was posted on July 20, 2016, 2:52 pm and is filed under Analytics, Articles, Journals, Publications, SoLAR. You can follow any responses to this entry through RSS 2.0. You can leave a response, or trackback from your own site.